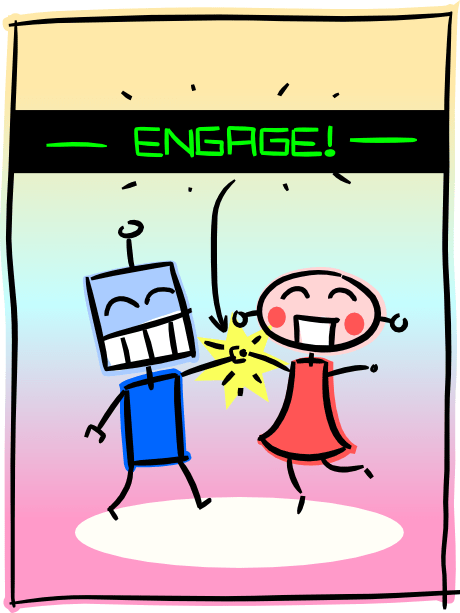 Heidi wasn’t too sure when I explained the concept (two robots initiate a hand-holding procedure while a synthetic voice pronounces success with the word “engage!”), but she likes the outcome. Created using the awesome Inkscape. Ha! That’s so cute! Awesome!